M-1 Zarya has just two stages. (Though as discussed, the "First Stage" could be split into 3 cores. Here I'm using the Western definition of "Stage" rather than the Russian). M-1 bis Signal adds a third stage, but isn't used for manned flights. Don't think I have notes on the diameter of the 3rd stage, but I expect it to be pretty small. Wait, isn't the Blok-D on the Signal version of M-1 the same as the Blok-V on the R-6-Varya? Dry masses, fuel masses, engine thrust and ISP are all listed as identical, so I figured Mishin simply took the kerlox third stage he added to R-6 to enable it launch the small original Varya, one-cosmonaut version, and put it in place on top of M-1 to get the Signal 3-stage version. (If anyone is confused by the letter-stage terminology--the Cyrillic alphabet goes, transliterating into Latin letters, A,B,V,G,D. So if the Russians also count three identical stage units burning as one as three separate stages, they account for the first three letters, then the stage we'd call the "second" stage, lumping the first three into one, which is about 2/3 the mass and perhaps length of any of the three lower units and has a single engine giving half the (vacuum) thrust, would be Blok-G, making the addition for Signal Blok-D. On R-6 we had two hypergolic stages, -A and -B, making Mishin's addendum stage Blok-V). If this is in fact the case, then nixonshead and his advisors have the dimensions of this small kerlox stage handy--it originally had to fit on top of R-6's Blok-B and so presumably has the right bottom diameter to do that, and the top diameter was designed for a Zarya-A to sit on top of. If so, then the extended PA's of the later Zarya versions appear in the illustrations to maintain the same diameter, so presumably there would be no problem mating a Zarya of whatever version to the top of an M-1 bis aka "Signal" rocket. This also constrains the taper, if any, of a monolithic M-1 concept; the top of the second stage must match the bottom of Mishin's R-6 kludge stage. Or come close anyway; otherwise the M-1 "Blok-D" would have to be redesigned for a greater (or more likely, lesser) diameter. There is some wiggle room for connecting stages that don't quite match I suppose, even the hammerhead effect of a wider upper stage overhanging the rim of a narrower lower one. Still one would think it had to be redesigned somewhat--and indeed, why keep using exactly the same stage as he came up with in 1963, in the later '60s when presumably the engine has had time to be refined and improved, and the state of the art of tankage etc has also evolved? Supposing the M-1 uses monolithic tapered stages also demands retconning the stage terminology given as the labeling of the first stage with three separate blocks would then make no sense; we'd have then an A block, a B block, and the Signal addition would be -V just as it was on R-6. I still think the tapered monolithic design is cool, and would lend itself to experiments with recoverable first stages, and the OTL Soviets did indeed build a helicopter that could lift such a spent stage from a landing downrage in the steppes. But really I have to admit the evidence is stacking up against it, and as I've said all my thrilling at the potentials of TTL's Soviet hardware is darkly clouded by my skepticism this timeline's Kremlin regime has the right stuff to follow through very impressively. If TTL Mishin is thinking of developing a reusable Blok-A, he's going to have the rug pulled out from under him I'm afraid, with the Soviet space factions split up two or three ways and Shelepin neither going away nor mustering up enough personal enthusiasm to pick one faction and back it. The regime's demise and a time of troubles at least as lean as OTL's (if not made worse by possible civil war, possibly one that goes at least a bit nuclear ) seem inevitable, and the expiration date is probably coming sooner than OTL too. So although I remain truly excited by the alternative idea of M-1 being made of modular units that can be hauled by rail and can be mixed and matched a la Minerva to get a whole system of launchers made from common units, and would assume that if that is what an M-1 is then Mishin does indeed plan to promote adopting the potential system as a standard one for all Soviet launch purposes, again he'd have the rug pulled out by the factionalism and scarce resources of a Soviet system going into terminal arrest. I started a post a long time ago, on Sunday or Monday in fact, trying to fish for a comparable cultural "weather report and forecast" for the USA, which is going to have troubles of its own in the 1970s I fear. Perhaps these will be no worse than OTL, but they will still seem somewhat traumatic to people who didn't have to live in our timeline! We are mainly concerned here with how world history unfolding affects the space race of course, and so the author can use very broad and diffuse brushstrokes to indicate this "climate." I'm certainly being kept guessing, which is good for dramatic suspense! Good point! My rough notes on R-6A Blok-V was a diameter of 2m, length 1.5m to deal with a prop volume of 4.85m^3. However, I'm not sure that works in terms of feasibly sized tanks, so it could well be something similar to OTL's Fregat, with four small, spherical tanks rather than integrating them into a cylinder. In either case, the diameter of the stage won't necessarily relate directly to the diameters of the rest of the stages or payload, as it would very likely use adapters (I think there's enough margin in the structural mass to account for these). Agreed. Depending on what we come up with, I'll ret-con the terminology in line. In fact I deliberately chose to focus less on the general outlook in Part-III to get in more space developments. Saying that however, there will be one significant 'geopolitics' post coming up, as well as a cultural guest post. I'm tending to lean towards a monolithic stage at the moment. It'd be in the 25m range, and there's 28m intermodal flatcars in use on US railways right now if Wikipedia isn't lying to me. If the Soviets don't have access to anything that long (and the OTL Zenit core is 32m long), they can always make the kerosene and LOX tanks separate units that'd bolt together quickly at the launch site. It'd be the easiest to handle either way--manufacture the domes and barrel segments and integrate them into stages wherever you're already building rockets, and move them to the site for launch. The death of Edward Karski and the resultant grounding of the Dynasoar fleet came at a time when the Air Force was already deep into studies of what should come after Dynasoar. Although many of the missions originally intended for the spaceplane - in particular space-based reconnaissance - had been shown to be more effectively met by unmanned assets, the programme had demonstrated its value in other areas. These included the on-orbit servicing of spacecraft, as demonstrated in 1971 when the Mk.II glider Athena rendezvoused with USA-110, a prototype NRO spy satellite designed to demonstrate this new option. Athena’s crew replaced film cartridges and topped up the satellite’s propellant tanks before returning to Earth, and this success led to similar EVE-compatible features to be included into designs for the next generation of spysats. Similarly, Dynasoar had showed great advantages in the orbital flight testing of other experimental systems, with the Mk.I gliders in particular regularly carrying new components and materials in their small payload bays for exposure to the space environment. Components could even be re-flown on multiple missions, increasing confidence in their ability to perform in the harsh environment of near-Earth space, although the limited duration of these flights (generally no more than two weeks for Mk.I missions) was a frustrating block to some investigations. This issue would be partly resolved by Starlab, but plans were also afoot to adapt a Mission Module so that part of it would remain on-orbit after the glider had returned to Earth. A second Dynasoar could then rendezvous with the module and retrieve the experimental samples after months or even years in space. One thing all of these missions had in common was their expense. The Dynasoar gliders had proved to be far more maintenance-heavy to turnaround than had been anticipated, a problem exacerbated by their nature as experimental aircraft leading to frequent modifications between flights. Worse still, their complex and costly Minerva launchers were thrown away after each mission. In 1970 the Air Force had authorised the Minerva Upgrade Project, which would involve fitting uprated, more efficient versions of the E-1 and J-2 engines to the vehicle to improve the performance of the rocket whilst simplifying its systems and streamlining production in an effort to reduce costs, but there were many voices calling for the entire expendable launch vehicle paradigm to be thrown out and replaced with something new: a fully reusable launch system. Cheaper access to orbit was becoming a concern not only for the Air Force and its customers, but increasingly to the civilian sector. The US Air Force held a monopoly on space launches across the Free World, including not only those for NEESA’s science and weather missions, but also for the small but increasing number of civil communications satellites being designed and built in the United States and across the world. With the launch of the British-owned (though American-built) Skycom-1 in 1968, the list of Minerva’s customers grew to include allied governments, increasing the backlog of missions that had already been building. Following the cancellation of the Navy’s Triton rocket, the only effort that looked likely to break the Air Force’s monopoly came not from the US, but from Europe. Europe’s challenge centered on the European Launcher Development Organisation (ELDO), which had been established in 1962 at the initiative of the French and British governments. The stated objective of ELDO was to provide its members with a space launch capability independent of the two superpowers, as well as to maintain and develop industrial competencies in rocket technology. This latter point was of particular importance to Britain, which had sunk huge sums into the development of its Blue Streak ballistic missile, only to see the system declared too vulnerable to host the national deterrent, and so superseded by the American-built Skybolt missile. ELDO would see that development effort put to good use as Blue Streak would form the first stage of the ELDO-A (later re-named Europa) vehicle, with the French Coralie and German Astris rockets acting as the second and third stages. Problems with the new organisation emerged almost immediately, and were mostly of a political nature. The decentralised nature of ELDO meant that each nation worked on its stage more-or-less independently, with only very weak central project management. The approach of adapting existing stages also meant the adoption of a different propellant mix for each stage, increasing the complexity (and expense) of the necessary ground infrastructure. Without a strong central authority, the schedules for each of the three stages soon fell out of synch, with Britain starting testing of the Blue Streak first stage in Woomera in early 1965, whilst the Coralie and Astris stages were still under development. These schedules began to converge somewhat when the Wilson government reduced funding to ELDO in late 1965 in an effort to offset the escalating costs involved with Britain’s deployment of forces to Vietnam. The incoming Brandt government in West Germany also expressed concerns over the direction of the project, partly related to the diplomatic sensitivities expressed by the DDR and USSR over a renewed West German rocket industry. Coming at a time when Bradt was pushing controversial policies to improve relations between the two Germanies, Europa ran the risk of adding fuel to an already combustible issue. Even the French government, the only one of the major contributors still fully backing ELDO, was starting to raise concerns at the Europa’s inability to place a payload into Geostationary Transfer Orbit (GTO), a capability that would be vital to serve the new generation of communications satellites then under development. Despite these concerns, development of Europa carried on, with each issue being dealt with on a case-by-case “firefighting” basis. British budgetary concerns were partly met through an agreement to slow the delivery of first stages and stretching out the test programme, whilst at the same time accelerating the commissioning of a new spaceport in French Guiana, allowing the expensive facilities at Woomera to be retired. French payload worries led to an agreement to add a small 4th stage to the stack, permitting a payload of around 200 kg to GTO. West Germany’s diplomatic troubles were neutralised (though hardly eased) by Shelepin’s and Ulbrict’s firm rebuffing of almost all of Brandt’s “Ostpolitik” initiatives and the general heightening of tensions along the Inner-German Border. Arguments over the Astris stage were small beer in comparison, and so the Federal Republic continued its contributions as planned. Unfortunately, the laws of physics would prove to be even less forgiving than the rules of politics, and the first test launch of the stack from Woomera (using a live 1st stage with dummy 2nd and 3rd stages) failed at the end of 1966. A repeat of the test in May 1967 was successful, but a third test in September from Kourou using a live 2nd stage failed at separation. The next twelve months would see a further three test flights, only one of which was fully successful, and none of which used a full-up stack with all stages live. It was with this less than stellar record behind them that the ELDO members convened in Paris in September 1968 to reconsider the direction of the project. There was a general feeling that things could not continue the way they were, and in particular the recent return to government of Rab Butler’s Conservatives meant that the new British Minister for Science and Technology came to the meeting determined to see major changes agreed if the UK was not to walk away from the project altogether. However, the specific technical problems encountered along with a general frustration with ELDO’s poor management structure meant that she was pushing at an open door, and all members were ready to agree to radical action. The result of the Paris conference was the effective scrapping of the Europa project in favour of starting afresh. Learning the lessons of the past few years, an important aspect of this fresh start was an almost total restructuring of ELDO itself, throwing out the old stovepipe approach where nations would work on their own areas independently, in favour of a stronger central technical authority reporting to a political council made up of representatives from each member state. This Council would have considerable discretionary powers to allocate resources from the central budget, to which each member would contribute a fixed amount to be confirmed each year in line with a general budget outlook agreed at five-year intervals, on the understanding that the amount of work allocated to each country’s industry would be broadly in line with the amount contributed (or “getting our money back” as the British Minister bluntly put it). Consideration was given to merging ELDO with the European Space Research Organisation into a common structure, but the greater success of ESRO to date, coupled with the impressive example of NEESA in the US, meant that it was decided to keep these missions separate for now. With this new structure in place, the re-minted European Space Launch Agency quickly moved to re-vamp the Europa design to create a launch vehicle that would meet the needs of the member states and avoid the pitfalls that had plagued the rocket to date. In line with the reduced financial contribution of the UK to just 15%, production of the first and second stage tanking was transferred to Germany, with Britain supplying those stages’ kerosene-burning engines based upon a new design incorporating the lessons of Blue Streak, designated the RZ3. Italy was to manufacture the solid-propellant fourth stage, with France producing the entire hydrolox third stage and providing the launch facilities at Kourou. Integration of the stages would take place at a new factory in Bremerhaven, from where they would be shipped to Kourou for final integration and launch. Although superficially this work break-down appeared to duplicate the stovepiping that had doomed ELDO, in ESLA’s case the system design was performed by a single international team located in Antwerp, Belgium, which worked to ensure that all of the subcontractors were marching to the same tune, much the same way as the DRA in the United States coordinated their far-flung subcontractors to produce Minerva. This new design and the resulting contributions and workshare were agreed at an ESLA ministerial meeting in September 1970, with the first launch targeted for 1974. That meeting also gave the new launcher (which had internally been designated Europa-C) its official name, Theseus. This was officially in recognition of the common Classical heritage of the contributing nations, but was also an allusion to the rocket’s design process which, much like the legendary Ship of Theseus, had seen every constituent part of the old Europa vehicle changed until nothing of the original remained. As Theseus’ development began in earnest and the USAF started work enhancing the Minerva launcher for the new decade, the DRA was circulating proposals for a radical new launch vehicle that would be fully reusable, promising dramatic savings in operating costs. Their 1969 “Report on a Reusable National Space Transportation System”, which pulled together the results of several earlier studies, had proposed the development of a large, piloted first stage carrying an orbiter spaceplane. The stack would launch vertically like a conventional rocket, but following separation the first stage would use large wings and deployable jet engines to fly back to the launch site and land like a conventional airliner. The orbiter stage would continue into space, where it would deploy satellites from its large cargo hold, or perhaps retrieve old spacecraft for return to Earth. After completing its mission, the orbiter would re-enter the atmosphere and fly back to its launch site in the same manner as the first stage, where both stages would be refueled and loaded for their next mission. Meanwhile, a flotilla of on-orbit space tugs would transfer satellites from the low orbits reachable by the shuttlecraft into their final operational orbits, completing a fully reusable infrastructure that could replace the nation’s fleet of expendable rockets. Despite its impressive scope and ambition, interest in the so-called Shuttlecraft Report was limited at first. Although several study contracts were awarded in the early ‘70s, the Air Force was initially more focussed on squeezing the most out of their Minerva and Dynasoar vehicles, whilst the DRA and NACAA soon had their hands full developing Columbia. It wasn’t until the 1973 Rhene Inquiry threw a light on the shortcomings of the Dynasoar system that serious attention was turned to a potential replacement. The Inquiry’s long list of recommended modifications to the Dynasoar gliders and their operations were the first priority, but even as Air Force Space Command placed an order for a replacement Mk.II glider, some were questioning whether the entire Dynasoar system shouldn’t be scrapped in favour of a more capable, safer second-generation spaceplane. It was at this point that the Shuttlecraft Report was dusted off and circulated amongst the key decision makers. However, it proved to be external events that would again shape the future direction of the space programme, as the geopolitical tectonic plates shifted once more, resulting in a powerful new earthquake in international relations. .....the programme had demonstrated its value in other areas. These included the on-orbit servicing of spacecraft, as demonstrated in 1971 when the Mk.II glider Athena rendezvoused with USA-110, a prototype NRO spy satellite designed to demonstrate this new option. Athena’s crew replaced film cartridges and topped up the satellite’s propellant tanks before returning to Earth, and this success led to similar EVE-compatible features to be included into designs for the next generation of spysats. A feature of limited value though, as on one hand maturing space tech and the evolving general state of the art on Earth leading to more sophisticated microelectronics leads to maturing space technology--eliminating the need to return film to Earth in some kind of capsule for instance as CCDs develop competing resolution and allow images to be beamed down to Earth stations in real time or nearly so. Refueling satellites would remain a valid concern, except for the other thing--space faring ventures will gradually learn that spacecraft break down and wear out in space as things do on Earth (albeit in different detailed manners) whereas with advancing technology old devices become obsolete, so the wisdom of keeping an old spacecraft limping along as it was designed to a decade or so ago, while obscure breakdowns occur deep in its integrated guts, will seem doubtful compared to deorbiting it and starting fresh with a new spacecraft, launched with everything it is anticipated to need until its planned end of life. I can see space maintenance services of this type evolving into a program of robot tugs that go up and refuel a new generation of craft designed with ports for that purpose, on one hand, and bigger robot tugs that mainly go up to brake obsolete craft decaying into space junk into destructive reentry. If someone did something like build a robust nuclear reactor for some satellite, one designed to survive reentry without burning up or melting down and thus avoid scattering its core contents to the four winds--then we'd need a space scrapper I guess, that could go up, cut the reactor loose, stow it in a bay, and fly it down. That mission would not be very popular though, with either public or crew! Similarly, Dynasoar had showed great advantages in the orbital flight testing of other experimental systems, with the Mk.I gliders in particular regularly carrying new components and materials in their small payload bays for exposure to the space environment. Components could even be re-flown on multiple missions, increasing confidence in their ability to perform in the harsh environment of near-Earth space, although the limited duration of these flights (generally no more than two weeks for Mk.I missions) was a frustrating block to some investigations. This issue would be partly resolved by Starlab, but plans were also afoot to adapt a Mission Module so that part of it would remain on-orbit after the glider had returned to Earth. A second Dynasoar could then rendezvous with the module and retrieve the experimental samples after months or even years in space. And here we also approach the downmass issue, which when I asked e of pi and Workable Goblin if they had any regrets in their STS-free, disposable launcher based TL, was their main and it would seem by far greatest if not only one. Also with my "scrap the nuke" scenario of course! ...there were many voices calling for the entire expendable launch vehicle paradigm to be thrown out and replaced with something new: a fully reusable launch system. And everyone OTL who denounces STS as an idiotic turkey of a program should learn or remember, this was the general consensus in the late '60s OTL as well. To me the question is still open, could such a program deliver on its promise or are flaws by the very nature of the beast? ...whilst at the same time accelerating the commissioning of a new spaceport in French Guiana, allowing the expensive facilities at Woomera to be retired. You know, I think this is the first place I've ever read anywhere where someone points out that Woomera was not cheap. I never thought much about that--I always thought the craziest thing about a European program launching from Woomera was that it was at the antipodes of the world from Europe (followed by the fact that it is an overland launch trajectory, not over water--though that has virtues as well as vices)--but now considering it is obvious that if one wishes to launch from Australia for any reason, a site bang in the center of the Outback, literally Back of Beyond, might not be the most sensible choice. I guess the expense comes from logistics and infrastructure--I suppose that site was chosen in the first place because it has a railroad passing by to the west to supply it, but the railroad is all it has (other than motor roads). No canals, no river, no large industrial developments of any kind nearby to support its infrastructure, probably a severe water shortage too. Pretty clear it is not really the smartest place to put a spaceport, even for a consortium local to the region instead from the other side of the planet. ...West Germany’s diplomatic troubles were neutralised (though hardly eased) by Shelepin’s and Ulbrict’s firm rebuffing of almost all of Brandt’s “Ostpolitik” initiatives and the general heightening of tensions along the Inner-German Border. Arguments over the Astris stage were small beer in comparison, and so the Federal Republic continued its contributions as planned. Well, then, "all things are for the best, in this, the best of all possible worlds!" Though beer can never be "small" in Germany! ...There was a general feeling that things could not continue the way they were, and in particular the recent return to government of Rab Butler’s Conservatives meant that the new British Minister for Science and Technology came to the meeting determined to see major changes agreed if the UK was not to walk away from the project altogether. However, the specific technical problems encountered along with a general frustration with ELDO’s poor management structure meant that she was pushing at an open door, and all members were ready to agree to radical action. Hanging out here at AH with Britons (and Canadians, and Ozzies and Kiwis) all divided from me by a common language has painfully brought to my attention how pig-ignorant I am of overseas politics even in the Anglosphere; half of what I know about Britain is from Dr Who, Red Dwarf, and Coupling, with a splash of vintage Python and Fawlty Towers. So while I'd bet that a Labour ministry of the 60s or 70s would always feature a woman or two holding some portfolio or other, there is just exactly one woman Tory of the era I could name. Is it in fact her? ...(or “getting our money back” as the British Minister bluntly put it). Sounds like her. Be very very humorous to make her the British envoy to a new Euro-bureaucracy. That meeting also gave the new launcher (which had internally been designated Europa-C) its official name, Theseus. This was officially in recognition of the common Classical heritage of the contributing nations, but was also an allusion to the rocket’s design process which, much like the legendary Ship of Theseus, had seen every constituent part of the old Europa vehicle changed until nothing of the original remained. As Theseus’ development began in earnest and the USAF started work enhancing the Minerva launcher for the new decade, the DRA was circulating proposals for a radical new launch vehicle that would be fully reusable, promising dramatic savings in operating costs. Their 1969 “Report on a Reusable National Space Transportation System”, which pulled together the results of several earlier studies, had proposed the development of a large, piloted first stage carrying an orbiter spaceplane. ...The orbiter stage would continue into space, where it would deploy satellites from its large cargo hold, or perhaps retrieve old spacecraft for return to Earth. The place where it goes off-track, I suspect, is here--having the reusable orbiter is not a bad thing at all; what is bad is having it be the only payload envisioned for the launcher. I'd think a rational STS would be one where the reusable booster stage can interchangeably launch either a recoverable crewed spaceplane, which can be configured either to carry people to orbit or to retrieve substantial chunks of downmass to the ground (conceivably both in one mission, if we put the upgoing crew in a pod that the orbiter parks at the station and proceeds on with an empty bay to go get its downmass, or just stow it at the station, the mass having been retrieved to it by orbital tugs) OR a non-returning, one-way large payload of up-mass. The OTL Orbiter being designed as the universal truck but with added deluxe features, massed as much as the payload of a Saturn V, but could deliver only the payload of a Saturn 1B. An interchangeable spaceplane that fits the latter load all-up would be quite suitable for delivering humans to orbit in fair numbers, though not as serving as a free-flying mini-station as per the OTL Orbiter. An alternate payload the same size would be bigger than OTL Shuttle loads but launched on a much smaller rocket. But this is some four or five years after the actual accident, isn't it? Yikes, it is also the year after a Presidential election, which suggests maybe Muskie's administration covered it up and now someone else is running things in Washington, someone with an agenda to show why Muskie's real name is "Mudd." No, the accident was in April of 1972. 1973 is a bit late for the report--it took about three months for the equivalent Apollo 1 report--but this could be because the Air Force takes longer to get around to it, or simply that Nixonshead wanted to space things out a bit more. Hell yes thats good post ! USAF and NEESA & co goes for H-1 and J-2S engines and simplified system on Minerva. While the ESLA goes for RZ.3, is that the finale Version design for Blue Streak ICBM ? On Europa-C that heavy launch version from OTL or more Ariane 1 analog for this TL ? Britain involved in Vietnam, how deep ? and How far had RAF intrest in Dyna Soar ITTL ? The high operating costs of the Woomera Launch Complex is new to me, and I suppose it does offer one other good reason for a switch to Kourou - alongside its low inclination which is good for GTO Launches. And the UK is being kept in I see. Though it looks pretty obvious that certain changes have been made to accommodate this by way of a different government. IIRC the Wilson (Labour) Government really wasn't that interested given the lack of results for the input. With regards to the Spaceplane Design. 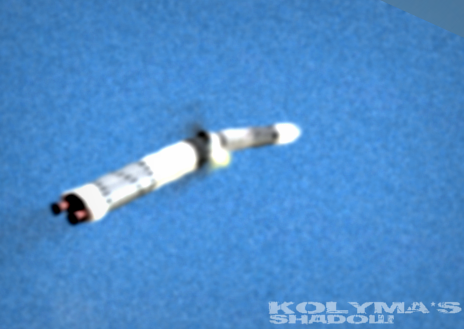 So far the worst of OTL's STS has been negated since Dynasoar (and Orel) are quite small and launched atop launch vehicles. What they come up with next though, time will tell. next to that were accommodation cost for ELDO crew in Woomera and that was not one crew that were four crews ! all those people needed translators, telephone, telex etc. and infrastructure in size of small town in middle of nowhere ! then the Italians install the payload and Payload faring on top of Europa rocket. finally another crew fueled the rocket and group of British launch it with Woomera installation for remote control the rocket. I trust it was clear if your guess is right, so was mine? Actually I was fishing for information about whether Thatcher had particular qualifications for being a technology Minister; I should know that of course and can only hang my head in shame I don't already. Sometimes I'm a bit embarrassed to just read Wikipedia and call it good; I'd guess the article on Margaret Thatcher might be a particular battlefield of biased manipulation. Well, reading it I suspect any bias is rather in her favor. Anyway--she was a chemist and worked at it in various positions before becoming a barrister. So that's that I suppose; also it says she claimed to be prouder of being the first PM with a scientific background than being the first woman. So yes, it makes sense to send her off to negotiate ELDO re-integration on the Continent. An example of something I would want done would be reorganizing ELDO to produce an effective European launcher program. There are other things she's more famous OTL for doing that IMHO shouldn't have been done, or anyway not done just the way she managed to. So I'm all in favor of keeping her very busy in Brussels and among British boffins, and not in other fields. I imagine both Labour and the Tory leadership of this period have similar feelings. If it turns out to be someone else boy won't we look silly. But knowing what I know now I can hardly imagine it could be anyone else. Just to be clear--I don't imagine she will be sidetracked from taking over the Conservative Party nor kept out of 10 Downing, at least not for long. Much as I have a partisan preference I don't have the impression Labour could have what it took to stay in power for long in the later 70s nor that more moderate Tories would either. So butterflies can shift the date back or forth but she'll get in, and then probably stay a long time. What happens next--would be a very mixed bag from my POV. I think you’re probably right. I’m not sure what the length limitations are on Soviet rail cars, but as you said, it’s easier to bolt together lengthwise than try to modify the diameter. No worries, take your time! With respect to obsolescence, I’d see one possible advantage being the inclusion of new/upgraded sensors and/or the replacement of damaged equipment. As we saw from Hubble IOTL, this can be quite a powerful capability if designed for serviceability from the start. Whether it would be cost-effective with building a whole new satellite is a valid question, but for some large vehicles there might be a case to make. I’ll say! I think space based nuclear reactors are a highly probable development for radar sats at least, but I can’t see any crew wanting to sit in the same airframe as the thing. If the objective is disposal, I suspect the more popular option would be to boost it into deep space rather than bring it back to Earth and adding it to the already problematic pile of nuclear waste we have down here. You know, I think this is the first place I've ever read anywhere where someone points out that Woomera was not cheap. One thing to note though, she won’t be kept busy at ESLA full-time, nor anywhere near. The ESLA Ministerial Meetings will be held annually and generally last less than a week, as for OTL ESA. Between meetings it will be left to civil servants to man the fort in Antwerp, whilst Thatcher is back in Whitehall running her department and generally making her voice heard. All credit there has to go to e of pi. I had selected the name Theseus as a reference to OTL’s Ariane/Ariadne, but it was e of pi who pointed out that the old Ship of Theseus legend made it a perfect fit! Yep, the accident was April 1972. The “Rhene Inquiry” is actually the Congressional investigation launched in summer 1973, after concerted lobbying from Sara Karski and others. The Air Force and Boeing had already conducted their own investigations,but these were kept Top Secret and were widely portrayed as a cover-up. The 1973 Inquiry would have drawn heavily on these earlier investigations for the technical details, but expanded the scope to all future spacecraft designs and included programme management aspects in their recommendations. Yep, the second stage RZ-3 will be altitude optimised (designated RZ-3a). If I’ve done my sums correctly on Silverbird, it should come out as more powerful than OTL’s Ariane-1. For the hydrolox 2nd stage… maybe one for the future. Despite the damage done to his relationship with Eisenhower over the U-2 shoot-down incident, during the Crisis Macmillan had demonstrated Britain’s total solidarity with her American partners, up to and including preparations for a joint nuclear strike. Nixon did not forget this support, and he and Macmillan worked closely together in the subsequent Geneva conference. Their personal relationship would remain strong, and was an important factor in Nixon’s later decision to continue the Skybolt missile project, which would become the lynchpin of the UK’s nuclear deterrent in the late 1960s. Similarly, Macmillan’s pledge of military support for US counter-insurgency operations in South Vietnam might not have been as forthcoming had a different President been in the White House. After Wilson became PM in 1964 he tries to scale back UK involvement as far as possible without “Kicking our creditors in the balls”. Even though Vietnam is comparatively less violent ITTL, British involvement is still unpopular, and will have contributed to Labour’s defeat in 1968. There have likely been some contacts over this, but there’s not much public appetite for RAF pilots flying US military aircraft since the MacArthur U-2 shoot-down. The UK gets pretty much full access to US space recon data in any case through existing agreements, so there’s not much justification for pushing for a British astronaut on a USAF mission. Yep, the switch in government and lobbying from Rolls has been just enough to tip the scales towards the UK staying in at a reduced level. Manned Stations being the obvious candidate, since they're designed to support a crew from the outset, therefore having them being serviceable is pretty much a given - conditional on expected lifespan. Though IIRC it was a woman who programmed the LEM Computer with the ability to prioritise tasks which is what the 1201 & 1202 Alarms really were. So better than 1,400 Kg to LEO and 1,850 Kg to GTO then? Though I've been struggling to work out why the GTO payload would be greater than the LEO payload. Design? We're still around, it's just that some of us have been disabused of the notion that Congress cares a lot about a cost-effective solution instead of a pork-effective one, or that they'd fund missions for a HLV if one happened to turn up (seems pretty heavily false), and I could play "no true Jupiter" with the current SLS reference design all day. But yeah, it's one reason I try and temper my enthusiasm for, say, SpaceX. There's a reason I try to check Astronautix numbers through Silverbird when possible, and oddities like that are one of them. Plugging ariane 1's first three stages off of Astronautix into Silverbird, I get about 4.7 tons to LEO and about 1.8 tons to GTO, so it seems likely that the Wikipedia Astronautix payload numbers are just...screwy. Best way to describe SLS IMHO? Pork-Barrelled Jupiter/DIRECT. Perhaps they are, but then IIRC the Ariane 1-4 Series were heavily optimised for GTO payload insertion which is what I attributed those screwy numbers to. All that said though, what's going to show up here is certainly going to be unique. I think I'll like it. Croatian makes it "time", but back translating time into Croat gives Vrmja (sp? ), essentially identical to the Russian. Not being able to easily enter cyrillic, I can't translate the Russian directly. I didn't have an easy way to enter Cyrillic text either, nor would I have been sure which letters to use anyhow. But Google Translate offered the option of "did you mean -----" which I could hardly read but guessed might be right. Let's see if I can include a window capture in this message...It was rather involved but I think you can see it now! You know, you'd think they'd translate the definition too rather than just give in in Russian! I'll capture, convert file format, and post that here too. Looks like if we had to choose one word it would be "clock." So where did you come up with the name? Was it a real Soviet project? From the first screen, I'm wondering if "sentry" is the most likely meaning. I suspect it's an ATL name Nixonshead developed, and the intended meaning is probably "sentry," given that it's a manned observation station project and when I type "senty" into google translate, it spits out "chasovoy".